A Chelsea FC fan accused of abusing Manchester City forward Raheem Sterling on December 8 has admitted insulting the player - but denied the insults were racially-charged. The club announced December 10 they'd suspended a quartet of fans from attending matches, pending further investigations following the incident during the match at Stamford Bridge. "Chelsea Football Club has suspended four people from attending matches pending further investigations into allegations regarding the behaviour of supporters during our match against Manchester City. Our investigations into this matter are ongoing. We're fully supporting the police investigation and any information we gather will be passed on to them. 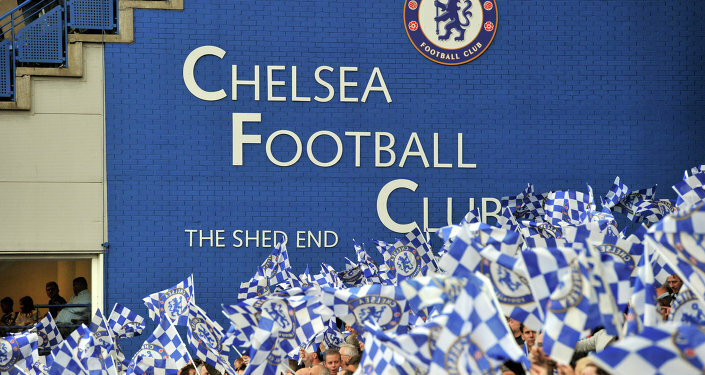 Chelsea finds all forms of discriminatory behaviour abhorrent and if there is evidence of ticket holders taking part in any racist behaviour, the club will issue severe sanctions, including bans. We will also fully support any criminal prosecutions," the club said in a statement. — Gary Shaw (@shawryblue) 8 декабря 2018 г. ​Sterling was targeted by supporters as he went to take in a throw in and is thought to have told police he heard a racist slur — last night the accused fan was identified as 60-year-old Colin Wing, from Beckenham. "I'm deeply ashamed by my behaviour and I feel really bad. But I didn't call him a black c***, I called him a Manc c***. I offer him an unreserved apology. Even if it wasn't racist, it's not right what I said. Even the swearing is bad — but I got carried away. I was completely out of order, but I've lost my job and my season ticket now so everybody's got what they wanted. So why can't they leave me alone?" Wing despaired to The Daily Mail. He added he has attended Chelsea matches for 50 years and where he sits in the stadium gets "picked up" on stadium cameras "most weeks" — and if he had a history of such behaviour, he would've been caught previously. The Professional Footballers' Association said on Monday that it stood "shoulder to shoulder" with Sterling — and Sterling himself responded to the incident on Instagram, accusing the UK media of helping "fuel racism" in football. "Regarding what was said at the Chelsea game as you can see by my reaction I just had to laugh because I don't expect no better. For example, you have two young players starting out there [sic] careers both play for the same team, both have done the right thing. Which is buy a new house for there mothers who have put in a lot of time and love into helping them get where they are, but look how the newspapers get there message across for the young black player and then for the young white payer…which helps fuel racism and aggressive behaviour, so for all the newspapers that don't understand why people are racist in this day and age all i have to say is have a second thought about fair publicity an give all players an equal chance," he said. The PFA has been in contact with Sterling to offer support, and praised the restraint he demonstrated at Stamford Bridge stadium. "Raheem has made a stand by speaking out and we stand shoulder to shoulder with him against the discrimination of which he speaks. We all have a part to play in tackling racism and discrimination and certain sectors of the media must be held to account. We've been aware for a few months of the targeting Raheem faces in the press, it is evident that he is often singled out and treated more harshly than his colleagues. As such, these stories are fuelling racism within the game, as reports of racist abuse continue to rise," said Simone Pound, PFA equality and diversity chief. The Metropolitan Police are also investigating the incident, and the Football Association has said it will work with the clubs and other authorities to ensure the matter is dealt with.